Most of us are here because we have faced the proverbial “fork in the road”. Should we follow the WT Organization, or something else? In next week’s article to study titled “Let Nothing Distance You From Jehovah” those who are still members are instructed under the subtitle “Family Relationships” paragraph 16 to 20 to stay away from those who have left, no matter what circumstances; whether disfellowshipped or disassociated. As I read what it said it gave me a foretaste of what my family must follow on the day I decide to leave the organization physically. But as the songs said it made me think that even though we are abandoned by our loved ones, have been kicked out of our homes, and rejected/shunned by all the people we used to know, God does not leave us! He is just. (Psalms 34:18; Psalms 27:10) He knows what agony our consciences are going through. And He knows what those of us who still have not left will have to go through when we leave. Yet the Organization has instructed us to abandon our families and friends, and choose them over everyone, else, including Jesus and Jehovah! And they deny that they do so when it is clearly written in the magazine. Think of the jobs we must risk losing to keep up with the routines of the meetings, those projects I was not able to finish early and stay up all night doing because I spent hours at the meetings that I could have used to do them. The Saturdays and Sundays our family spent at the Kingdom Hall and in field service that took up my “fun time”. My parents sometimes did take us out but I saw so many unhappy kids who grew up and once they had a tiny bit of liberty to go out they went wild and lived double lives until they were DFd or just stayed in for the wrong reasons to associate with family and friends. If that’s the case, then it just becomes a social club, right? The embarrassment of knocking on a door and finding your school friends who make fun of you and tell everyone at school you are a JW, or the things we were not allowed to do like play sports or go on school trips or camping or dances, or even prom, I had to sneak out for that one and got whooped when I got home, all I did was go dance and not do anything else after like everyone else did. Just a lot we missed out on and extra headaches we have to face while still in the organization. Why do certain rules that apply to all of us rank-and-file JWs but not with the favored ones or the elders? For example, my little brother threw a graduation party and we spent a lot of money and invited our JW friends. We had 400 people show up but that was 200 less than expected because one elder was bent out of shape about not being invited and spread rumors all over town and in the surrounding area that there would be worldly people attending the party and alcohol would be served, etc. It let us know who our real friends were and there were 5 elders in attendance but none from my congregation. And yet when this elder’s daughter got married his DFed son was there and so many drunk family members of his and other “worldly” people and nobody saw anything wrong with it! And even if you are active but the word has gotten around that you are bad association for some baloney someone is spreading around all those people who avoid you- and you don’t even know why. And those people with a past who either never confessed their gross sins as they are supposed to as JWs or come back are the first to judge those of us for lesser crimes or just not having the same opinion they do about certain subjects like movies or music (1 John 4:20). At the most recent circuit assembly the District Overseer was announcing all the Court Cases we had recently won. Well I live close to where the Candace Conti Case was held, and why not talk about that case huh? The Watchtower loves to print articles in the magazines involving cases other religions wrongdoing. Do you not say how the Bible is trustworthy because the men who wrote in it like Moses and Paul spoke about their faults as well and it was God who instructed them to do so? Then if you are God’s only channel here on earth then why not speak of the mistakes the organization has made as well (Romans 2:3). But no we are all left in the dark about cases like this. All these things really make you think, I am not saying we necessarily will have better lives when we do leave but we really are much better off worrying about the normal things in life like paying bills or going to the Doctor, going to school, etc. I have yet to find proof that Jehovah God has left me because I have left the organization. Spiritually my problems are no worse because of it and as a matter of fact I have less problems since I do not agree with the policies and procedures and ideas the Watchtower has fed us, all the lies and the hypocrisy. I have found truer Christians in non-denominational churches than most JWs I know, I see them reading and praying together and talk about a lot of the things we talk about as JWs, even using most of the same bible texts, etc. And they are real about their stuff, they are not two faced and don’t feel stressed because of rules imposed on them at church or the schedule they must keep up with like we do with the meetings and field service. I see other churches doing greater good than I ever saw JWs doing like volunteering at homeless shelters and that money they give at church is used when a member needs an operation, or can’t make rent that month. Sad to say but we have been led to believe a lie, the “love” we are shown is conditional. So as I write to you I am still doing research and have awakened to TTATT and try to do my part in helping others close to me like my significant other and my family members but it is difficult to speak with them since they automatically have that JW mindset and label me as an Apostate. Even some ex-JWs I talk to are still holding on to the belief that the organization is the Truth and the way to Salvation. Why do I attend the meetings? Honestly I am not fully ready to leave physically just yet and I want to help my loved ones wake up as well to the lies that we are fed in the KH. I like to listen to anything they talk about that is biblical and true but the 50% of Bible truth we learn at the kingdom hall is soiled with 50% of lies and it’s like I heard in a public talk once when referencing to the “worldly pleasures” LOL, “You can drink a glass of water with a little bit of poison and it will not kill you, but if you keep drinking that water with that little bit of poison it will make you sick and can kill you eventually.” And that goes for the way I feel when I go to the meetings now that I know TTATT… I feel physically ill when they are talking about some good spiritual food then you start feeling that little bit of poison, the lies and things that are not Biblical. I cannot keep drinking water mixed with poison. There are so many of us ex-JWs who are here to help and I mean all over as well. I have made new friends and have hung out with old friends who were once witnesses as well who live near me and we go out together and we all have fun and have made non-JW friends as well. Our biggest fear is to not be able to make friends on the outside but I have found more true friends on the outside than I ever had while I was still actively serving in the organization. And you know what? I read the bible much more, I am no longer getting drunk all the time or taking Zoloft because I was depressed and stressed due to the headaches of being a JW and believing I would not survive Armageddon, so why even bother. But now that I am free and soon will leave this man made organization I pray and trust that even if all my loved ones do abandon me, Jehovah will not ever leave me, he knows I am formed from the dust. I have made friends and they do not judge me and my ex-JW friends totally understand me and we go through the struggles together. I want to help my loved ones awaken but if I am unsuccessful I will leave without them. We really all are better off not being in the organization full of poison and lies. I would rather live my life and enjoy it and serve God in the way I see fit. 48 Comments on If We Leave The Organization, Does Jehovah Leave Us? Woah andre truly insightful reading from a intelligent point of view I have started from the beggining and work my way throught the section thank you. Thank You for this experience C M !! I was raised a JW but finally woke-up from the mind-control in 2010 after the GB’s explanation of Matthew 24:34 that being the anointed of overlapping generations. I finally realized that they were wrong and just guessing. The fact remains the GENERATION OF 1914 HAS PASSED AWAY! So it becomes more evident as time passes, that their (the GB’s) interpretation of prophecy is suspect! Even though the “truth” changes, if you believe something other than what is published as the “latest light” (right or wrong), you can be disfellowshipped. Their proof about 1914 has fallen short. The current understanding is utterly flawed/illogical/unsound/unsupportable to any intelligent and rationally thinking person. That was a great heartfelt thing to read. I grew up and was raised a JW. I am 39 and my wife and I drifted away about 9 yrs ago. It is indeed a giant burden lifted off when you no longer have to keep up with the grind of being the model witness. We are happier now than we ever were as active witnesses. I can honestly say when people leave, they WILL be happy. Thank you Wakeupwitness I am so glad you have found happyness and you deserve it as much as the rest of us. I really do feel alot happier now that I am no longer under that mind control, I am free they have no power over me and I can be happy for once and for all. CM your story is my story, and after 30 plus years, 2007 was the year I left, and it was a process of grieving, but I realize that it was Jehovah’s hand that grabbed me and lead me out of Babylon , and I did not know that totally untill years later. I now have a spritiual rich and free life and total freedom to have a relationship with Jehovah and understand that I was deceived like eve and I ate the apple of a man -made organization that I throught had Jehovah’s approval. I had to die to the lie, so I could live again in truth. I think we all have a story to tell Freethinkerinjah, and I am so happy that u are free and that you now have a real and true relationship with our heavenly father he loves all of us and even though we are hurt that we have been lied to he is with us all the way and we are all here to support eachother my friend. Thank you for your kind words I will keep you in my prayers. Thanks alot for sharing your experience….its wonderful to have a forum where we can share without fear. I ‘m also recently awakened ,and happily some of my family members too. … I keep praying that more JWs may see through the deception and hypocrisy. You’re very welcome here Mimi it’s nice to have your thoughts. More and more brothers and sisters in the Kingdom Hall are doing so right now this very minute. They are searching online and they are questioning things and it cannot be stopped. Mimi my friend you have a place here with us on this blog and in our prayers and thoughts we truly love all our brothers and sisters and feel free to share your story and thoughts here, unlike the organization we cannot express ourselves freely at the kingdom hall and etc. but here you can and I am so happy you are not alone you and those close to you that have awakened will be a great support to you and you to them and we all need that now that we are recovering from the damages that have been done to us by “The Truth”. I pray you find happyness because that is what Jehovah wants us to have. May he keep blessing you and remember that you are welcome here with our open arms. Thank you for that experience. I too am getting ready to leave this rediculous organization. I will be losing family and friends during the process but your words have encouraged me. I’m glad to know that I’m not alone in this struggle. I’m ready to face this beast of an organization and stand against it. I pray for those blinded by the hypocracy and lies. I have faith that God will one day set all our dear friends and family free by taking away their blind folds. All the GB needs is to get exposed publicly and they will be doomed to lose their innocent followers. Truth can over come any lies. So if they are afraid or forbid contact with “apostates”, that in itself is a clear indication that they are feeding us lies and have fear of being exposed. May Jah continue to give you strength and bless your efforts my dear brother. Brothers, i am still in the organization but have been having doubts from what ive learned. Ive pent it up and held it inside because the first time i mentioned my doubts my wife said shed divkrce me if i left the organization which she equated with leaving Jehovah. The fear of course took hold, but now it has resurfaced. Shes now given me a week to come up with questions i have for the elders which i need to have answers to. Immediately i feel isolated, as if she doesnt understand why i wouldnt talk to her about the matter because she threatened me with divorce, going against God to seperate the family i love so much (we have two daughters also). What issues will i bring up? There are so many! The isolation is already affecting me and i am starting to feel the lack of love just in her demeanor when i walk in the room. What shall i do brothers? Im afraid. Afraid of being wrong, afraid of losing my family and of course afraid of it impacting my relationship with Jesus and The Father. My wife told me the same thing when I first talked to her about how I felt. 3 years later we’re still together even tho I’m now inactive. It has put considerable stress on our marriage however. No one can tell you what you should do that is your decision. However whatever you do take it slow. Do not inundate your wife with new things you have learned. It is best to pick the opportune time to give a nugget of info. or an observation every once in a while. Otherwise you chances are you’ll end up in divorce court quickly. But you may end up there no matter what you do since the hold the Watchtower has on the minds of JWs is extremely strong. Let your conscience guide you, my brother. It is a terrible thing to be in that situation I know too well how you feel. Please email me at jwstruggle@gmail[dot]com if you can I’d like to talk more about this privately and hopefully help you come up with a game plan! Your wife cannot divorce you if you decide to leave the organization, which is condemned by Jehovah God. She can only divorce you on the grounds of adultery and only if she did not forgive you for the adultery. She could only legally separate from you if you would damage her spirituality,for example you preventing her to attend meetings, speaking negatively about Jehovah God, Watchtower and Jehovah’s Witnesses. Also, she could legally separate from you if you verbally and physically abused her. If she went contrary to these Biblical teachings than she would position herself into being disfellowshipped. My dearest Bro. 1 Peter 5:7 “Cast all your anxiety on him, because he cares for you. God is close to the broken hearted and saves those who are crushed in spirit. My heart goes out to you in your dreadful situation. “BUT! Remember who is on your side. “A God of truth. The reason you went into the organisation in the 1st place was for truth. Its sad how people in the Tower are black mailed by divorce if they do not act like clones and believe watch tower lies. l know how “Jesus loves us as our Shephard. How he keeps his eye on his sheep at all times. He says to us to worship in Spirit and Truth. “Now that is what we are finding after the W/Tower. so dont be affraid. “Follow the one who died for you. ‘No matter what” Yeshua. “Have l not commanded you? Be strong and of good courage dont be affraid YHWH will be with you where ever you go. Dear Bro its your choice. “Your not on your own” Pray with all your heart that your wifes eyes will be opened like yours are opening. “TRUST is a huge thing in Gods eyes. Yes Escapingthecage, you are not aline there are so many of us someone you know probably thinks as you do when and if you do decide to leave this man made organization trust that Jehovah will be with us, we are never truly alone and there is alot of support out there for ex jws that help. We are those sheep that have been mislead and hurt our heavenly father knows our struggle and he will nurse us back to health, now that we are awake we can see the truth for what it really is and they have no control over us we can stay in for our family or leave and seek christian freedom jah will provide always. Ds211 I truly feel for you and pray everything will be okay, you do have a few options, stay in for your family i know u love ur wife and children but the organozation has such a control over people and they are brainwashed to choose like u said jehovah meaning the organization over you over no “biblical” reason…you dont have to meet with the elders because they can and will do damage if you do and feel prepared and prayed go for it if not “take your medicine” sit down say as little as possible and agree and stat in and little by little help ur family wake up the more u learn and with prayer jah will provide chances for u to speak with your wife to help her awaken too. Our purpose is not to make people stop attending the meetings what you do is your own choice but now that we are awake not allow them to have any control over us nor our family or loved ones, what I meam by that is allow them to influence in your private life talk to ur dfd loved ones, let ur children live a normal life, seek for jehovah without the watchtower restraints and things like that just don’t be “active”, making this religion a priority in your life, attending meetings regularly, service, gatherings etc. Distance, as in fade away if you must pray that your family awakens as well and know that Jehovah is with us he does not punish us for leaving we all just go thru good and hard times in our lives. Let us all pray for all those who are in the struggle brothers and sisters. Thank you for the encouragement! I always try to think of how this veil lies over us as jws….i realize when i accepted the JWs as truth i was a baby (spiritually). Like a child i did what my spiritual told me to do and thought thats how things are supposed to be. Now im growing spiritually and just reading passages even from the NWT i find truth. And even using their own literature i find mistakes like where Gods throne is and who is standing before it in revelation chapter 7. Again i thank you for your support! Ill continue to pray for you all and for Andrew who knows my situation all too well. I would also like to commend and ask that you pray for the brothers and sisters involved in anointedjw.org. They have given me wonderful encouragement as well!! Please pray for those brothers and sister who are trying to help all the brothers and sisters realize their hope by partaking in Christ, igniting change back to Our Fathers pure word. I love you all! You are in my prayers Brother Dustin and so is our brotherhood of friends who are or were JWs as well. You are always welcome here please do seek Brother Eric’c aka JJ’s council i have on many occasions and his insight of the scriptures and Watchtower Policies and Procedures, as well as our loving heavenly father Jehovah, helped me let my light shine and put a man who has been serving as an elder for over 30 years, longer than I have been alive, be put to shame using nothing but bible truths and their own Policies and Procedures infront of a Circuit Overseer. We love you very much and will help any way we can. Hi guys, it is reassuring to know that there are others that share my resentment, not of JW’s, but of the WTS. I am now 35 years old and left “the truth” at 15 having been attending with my mum from the age of 7. The fact that I am visiting websites such as this 20 years later is an indicator of the emotional turmoil that the influence of WTS has caused me and continues to do so. I stopped attending with my mother because certain teachings and attitudes just did not sit right with me even at that age. I couldn’t really put my finger on what my doubts were at the time but one of the things that I will always remember was the elders repeated spouts that JW’s were “the most fortunate and happy people alive” and that the world outside of this organisation was one lacking any love, full of suffering and general doom and gloom. I certainly didn’t feel happy or fulfilled and when I looked around the Kingdom Hall, I didn’t see this in others either. My parents had separated prior to my mum becoming a JW, but luckily for me I still saw my father regularly. Looking back I think my mum was pretty low and vulnerable at the time when she started having her bible “study”. Quickly she was dedicating the majority of her time to all things JW and still does today. Looking back when I left I feel I was unprepared for life outside the organisation. I had been taught that education and career planning was of little importance due to us being in “the last days” and left school with no qualifications. I had felt ridiculed by peers outside the organisation and did not share the enthusiasm and belief of the other children within. When I left I felt very awkward around others my own age who all had different and shared life experiences. I experiencd anxiety and social phobia and certainly I did not find the happiness upon leaving as many of you have spoken about. I tended only feel confident when under the influence of alcohol which later lead to drugs which became a problem for me. I don’t wish to sound as if I am blaming WTS for all the difficulties I have experienced but I do feel I lost some of my childhood and was initially less successful as a direct result of WTS rules and doctrines. Right now I feel I have found my purpose in life. I have a beautiful partner and two boys who are thriving. I am also studying for a degree at University to advance my chosen career. However, this is the problem. I still worry about my mother who is still a devoted JW. She has remained single ever since separating from my father and has long since divorced and I think the JW culture has a lot to do with this. She has no friends outside of the organisation. She does socialise within the organisation but I don’t feel she is leading a fulfilling life. I look into her eyes and I can see she is unhappy. She of course denies this and says she trusts in Jehovah and has hope for the future. She becomes very emotional if we discuss her faith. She lives alone and I worry for her every day. I have tried to discuss her faith in what the WTS teaches her but she will not entertain any critical discussion. Can any of you guys advise me on what I should do? Should I just let my mum continue in this way and do nothing? Might it be unhealthy for her to suddenly awaken after 30+ years dedication and at the age of 66? On the other hand the generation of 1914 has come and gone and I am tempted to discuss this with her. I know what her answer will be ” I’ll have to ask the elders.” This response infuriates me but I do not challenge her for fear of upsetting her. It has got to the point that I do not enjoy spending time with my mum because I can sense her unhappiness, though I love her very much and do not blame her for bringing me up as JW. My sister and her husband/Children are also JW’s though attend a different congregation. They don’t seem to be as strict in the way they live their life and they seem genuinely happy so I would not want to do anything to upset that. Hi DP313 from my experience I can say that both my parents have been JWs for over 30 years and I would call my mother a “fanatic” my father on the other hand is willing to talk and have and open discussion about my doubts however he goes around and around and does not see the point lol. But if I dare speak to my mother she is very defensive and puts up that JW wall because of her mindset and tells me I am wrong to stop talking like that and to come back to Jehovah that apostasy is truly an unforgivable sin and boy you should have seen the way my older brother (who is inactive) reacted when he found out what I had been investigating and questioning about. Mind you I go to the meetings once in a while I am not DFed or anythings like that I have just awakened like you have my friend and I sympathize with your concerns and wanting to help your mother because you love her very much but seeing the way she reacts when you try to engage her in conversation openly about questioning her beliefs I would have to say that you are walking on eggshells and to be very careful you don’t want her elders to straight up tell her to stop having any contact with you and to hurt her feelings and for her to shun and reject you as that may cause even your sister to do the same. So if you do want to speak to her look for small opportunities and look for small simple things to talk about that she may be interested in however if she starts to feel uncomfortable let it be and be thankful you still have a relationship with her so many people don’t simply for leaving the organization, and continue to live your happy life. Thanks C M, I may take your advice and let it be. I hadn’t even considered the possibility of the elders recommending that my mother stop associating with me. Truth is, it hurts me when I see her become so emotional when I attempt to discuss things, even though I always do so gently. Also I often wonder if the collapse of her belief system at this stage in her life might not be more detrimental to her well being than continued faith in WT. Would she not then reflect on a wasted life? Possible total loss of confidence? Depression worse than that, I am sure she is already experiencing? What would then be her hopes for the future? Would she become isolated ? Etc etc. I think the impact of “awakening” after so long must, for many, impact on their emotional and mental well-being. I myself no longer believe in God, but I often wonder if the trauma of my experiences as JW and the difficult times afterwards have conditioned me against any form of faith. I will discuss more with J J when I have the chance. I will continue to follow this site. Thanks again. Great post. I’m at the same stage as you. A born in, and now over 50. I had my first doubts when I was around 12. The watchtower kept going on about the heart having some form of intelligence calling it a motivator or some such term. I knew the heart only pumped blood and managed our circulatory system. Spent ages trying to prove to my parents I was right. They preferred to believe the watchtower nonsense. Now decades later the said watchtower stress the heart is symbolic. At my young age I wanted to know where in the bible does it mention Charles Taze Russell and an organisation based in New York. My doubts are now firm beliefs that the org is just a book and magazine publishing company with a network of distributors guilted into circulating its output. so CM are you really happy?i think you just want freedom from Jehovah’s rule.remember thats what caused problems in the begining.true its had to face life when you are disfellowshipped or a loved one is.i am speaking from experience and life has been hard because there is alot of anguish.but still, i think jehovah’s way is the best. i miss my loved one though and cry alot about it but i know jehovah will take care of the situation somehow. jesus’ life was no easy one. look at his desciples most of them were learned but had to leave their careers…ever wondered why?this is the most important thing in life…to be spiritual. i dont think you should talk about hypocricy coz we are all imperfect including elders and they can make a mistake even in passing a judgment but its not for you to worry about.just wait for jehovah to come and sort them out! Lynn I respect your opinion but you must understand where I am coming from, this freedom to do what I want that you think is what I am trying to achieve, I did more stuff than I care to even mention while I was still an active JW so all that stuff is just about out of my system in part thanks to alot of 2 faced jws who were the ones who exposed me to alot of things that my “worldly” friends never did. Yes you will find bad apples in all religions but my problem is not the people in the organization. I love the brothers and the sisters, well for the most part, they are sincere kind people who are trying to do what they feel is right and are happy. My problem is with the false teachings, I personally do not believe that the way the organization does things is, as you put it, “jehovah’s way”, and there is alot of bible referrences I can use to prove it to you and this about waiting on Jehovah to fix things, “you can take a horse to a watering hole but you can’t make it drink the water”, people have waited for a long time for things to get fixed, and maybe eventually theey will, but I think that if we truly follow the scriptures and let his holy spirit guide us, we can all find our way and serve god in the way we see appropriate and I dont mean being a fake christian either by doing whatever the heck I want, I mean truly listening to his words written in the bible and applying them and understanding them for what they really are and mean not what someone else tells us it is. And really, I am happy, I have been so busy, I got a new job, been traveling alot, making new friends, and making my relationship with my significant other so much stronger, mind you she is a very active JW. All in all we all must respect eachothers opinions, my only wish for u is that even if you do decide to continue being a JW don’t let them control your life and cause you pain, become aware of what is really going on and do some sincere research, so you know what the bible really says about certain things. If just being spiritual was the most important thing in life then why do we encourage others to leave their religions and come to the ‘truth’. Why don’t they just stay worshiping Mary for example, because it doesn’t matter as long as you are spiritual. What is the criteria for true worship if not to pursue the truth of God’s word and uphold it? Sure, we can never know some things perfectly, or apply them perfectly, but Jehovah recognizes that. 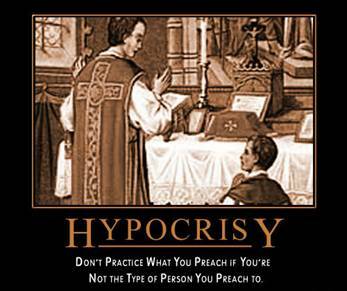 Jesus condemned the Pharisees for their hypocrisy not their imperfection. They failed to recognize him as their Saviour and continued to demand that authority over people rather than directing them to Christ. The WTS makes the same fatal mistake. They place more importance on their role as the so called faithful slave and require that our worship of Jehovah must go through them and we must recognize their teaching on various subjects even when the scriptures contradict them or are unclear. This is a massive and crippling delusion that hinders the operation of the Holy Spirit and will bring them a heavier judgement. They are spiritual bullies and false prophets. And as events unfold over the next few months and years you will see this. They will start to wield their newly established power as the exclusive “Faithful and Discreet Slave” with more determination. But they will be exposed when Jesus returns. Lynn- “Jehovah’s way is the best”. Take a step back from a person being ‘disfellowshipped’. Do you think the WT judicial procedure is ‘Jehovah’s way’? Please outline, from the bible, where this judicial procedure is or even where elders are sanctioned by God to act as judges of other people. My sister left first and gave me Ray Franz’s book to read. ” Crisis of Conscience”. As things opened up to me through resesrch I had the sinking feeling in my stomach ( like when a loved one dies). My dad told me I wasn’t the same person because I was finally speak my mind. My whole life I always lived to please my parents. After my sister and I left we were not spoken go for ten yrs. We have tried explaining ghat we haven’t left Jehovah. I have also found people that are more Christian than many witnesses in the churches here. They really try to live right and I cannot see Jehovah destroying these people. Hi Kathy! Nice to see you post here! I left the WT in January, and I was on an emotional see-saw..happy one minute, crying the next. I explained to my non-JW family and friends that it was like discovering your husband was not who you thought he was. That all the time you felt safe in his presence, and loved, it was a lie! That’s a really sad realisation. But now I am safe, and at peace, in my heavenly Father’s arms, along with his son! That’s better than what any “organisation” can offer! I also see many decent and kind, loving people in the churches, and do not believe for one minute our Father will have them all destroyed!! Be wary, who you join. ‘Angels of light’ turn up in ALL places. Dwell on the attitude shown here Revelation 22 v 8,9. Some apparently faithful and maybe sincere will be destroyed for not heeding the warning of Revelation 18 v 4, note it is addressed to “my people”. Thanks for the warning Reader. We are best “out of Babylon the Great”.Will YHWH make a distintion between those willfully ignorant..and those who are truly and honestly “duped”? I hope so. We are all ignorant to a degree…probably more than we know. Look at Saul, what he did with zeal in his service to YHWH, prior to his conversion. He said he was shown mercy because of his ignorance. Would he ever have converted if not for miraculous intervention? The story of Lot’s wife is interesting on these points, count how first Jehovah was asked to tone down a little, if there is ….? Then a change of destination. She had been led to near safety, and told to keep going and not look back. Some people can’t be helped and their blood is on their own heads. Was she attentive to serve Jehovah? 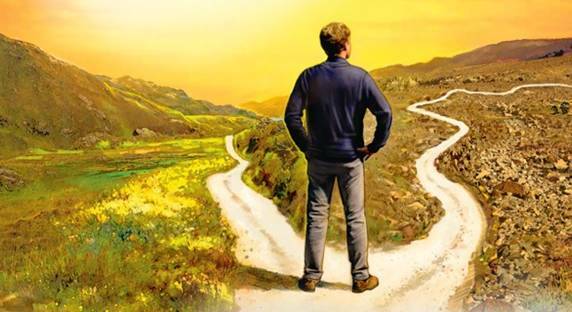 Dear Reader, i felt i was on the right path and that I was in the truth my whole life and that by following what the scriptures say and follow the direction of the governing body I could live in the new world for eternity. The angels of light i thought were my brothers, I thought were teaching me bible truth, were guiding me to salvation from destruction in armageddon, were teaching me false doctrines, trust me I agree with alot of what is talked about in the meetings and in the magazines like, don’t steal, and be wary of becoming addicted to alcohol, but when it comes to avoiding our dfd brothers and sisters, well I think Jesus and Jehovah are very upset at this practice and do not approve of it. We must all do our own investigation into our religion without bias and be free to make our own choices in life only God can judge us and even he does not judge us as harshly as the governing body leads us to believe, he is our loving father, and I think that nobody who is a true believer can say that God hates anybody. or would your corpse be on a hill overlooking Palestine? The prophets of Jehovah were in general outcasts at severe risk of being killed as Jesus himself was. Look to the Scriptures and do these. Satan can enter, and does, and has, -any group. It was once so bad that even Jehovah’s prophet thought he was all that was left, no matter Jehovah knew where the others were! Keep faithful and do not dilute what God has said. And you will be counted. When Jerusalem fell, the Christians who listened to the prophecy saved themselves right? well those who had lost Jehovah’s approval, the Jews, stayed instead of escaping and leaving far away since they did not believe Jesus was the Messiah and many were killed. If we continue following false doctrines taught by the “faithful and discreet slave” that actually go against what the scriptures say, do we risk being destroyed? The organization does not have his approval as we have been lead to believe and for that reason Satan has entered this group, at the very top. No true christian would preach any kind of hatred towards anybody (DF’D,DA’D,reproved,inactive,irregular,non Jw’s etc.) no true follower of christ would ever go beyond what has been written in the scriptures and apply rules/restrictions that are not found in the bible(no blood, bedroom laws, holidays, etc. ), when he came everything changed and most of the laws that they had to follow as jews no longer required for them to apply into their lives now that they were christians. No true servant of Jehovah God would ever claim to be his one true channel knowing it was a lie, using his name and all sorts of mind control tactics to control their followers entire lives and showing so little and conditional love. I believe that if the GB/FDS did not teach false doctrines and try to control its followers with fear, then many more would still be in and more would still be joining. However when people realise that this religion is man made, your whole world is torn into pieces, and little by little you must reconstruct it all and find God your own way and you truly do start reading the scriptures for what they really are. And our equivalent action is to get out of Babylon. here is the link to the interview i just did with eric for the jwstruggle channel. I also feel the same as bro CM,I have to bite the bullet eventually and walk out of the org,I’ve been thinking about now for more than 3 yrs,just some of the things that add weight to bro CMs feelings. df is not unscriptural,neither is moving someone to repentance for the aboved mentioned things,it seems that in the WTBTS that it’s gone to far and has become a stick to beat people with,in my experience in the “truth”,43 yrs,no one has come back into it after df because of “loving encouragement”,they where either lonely or as CM said need structure,or couldn’t shake off guilt,or missed their family,I’ve never heard anyone say they came back because Christ forgave them,they came back to be forgiven,by the org. If you feel that you must fade then i think you should do it. It was the best thing I ever did. My spiritual physical and mental health are better than ever before. God loves us all unconditionally, and those who really love you will love you unconditionally as well regardless of what anybody says about you. I also suggest you seek peace of mind and take time for yourself to clear your mind and not let the disilusionment get to you as it can be very dangerous and unhealthy. i invite you to read my recent post on this site giving everyone an update on my life currently. he phrase “Jesus Loves You!” (with or without the exclamation point) is well known. In fact nearly all people on planet earth have heard it which of course to some extent makes the phrase a cliché. But the fact remains that Jesus does love us. He loves you, and he loves me. It can also be admitted that we all sometimes forget that God and his Son loves us. We forget in the sense that we get so wrapped up in the day-to-day pressures of life that we forget to reflect and exemplify Godly Joy as a fruit of His Holy Spirit. (Galatians 5:22; 1 John 4:8) Due to pressing problems such as stress on the job, making ends meet, health issues, our sinful nature, etc. we can become discouraged. And of course a large source of turmoil for many of us relates to our awakening to the flaws within the Watchtower Organization and its leadership. It has taken the place of Christ for some Witnesses, and many of us too were enmeshed in this false conviction at one time. We are here reading and commenting together on JWS because of our shared confusion and pain, even resentment.